Foreign capital flows to China are expected to rise from Monday after a portion of the nation's nearly-$13 trillion of onshore bonds were included in a key global index. On Monday, China's renminbi-denominated government and policy bank securities were included in the Bloomberg Barclays Global Aggregate Index, a global fixed-income investment benchmark, which could trigger more capital inflows into the country and provide stability to currency and fund borrowers. Global banks have predicted that the Bloomberg Barclays index inclusion will attract $700 billion to $800 billion of overseas funds for the next five years. More than 67 percent of the market participants in Asia are likely to increase their investment in Chinese onshore bonds this year, driven largely by the index inclusion, said a recent survey from Bloomberg, the US-based financial information provider. The State Administration of Foreign Exchange said on Friday that improving convertibility of the capital account would be one of the key tasks this year so as to gradually achieve free cross-border capital flows and further open the bond market. Bloomberg Chairman Peter Grauer told China Daily in an exclusive interview a week ago that the index inclusion will make the Chinese bond market more attractive to global investors and bring in more liquidity. He expects more policy measures to be taken in the subsequent years. These measures include improving China's credit ratings system and corporate disclosure levels, launching new index products, such as bond exchange-traded funds, and expanding hedging tools to manage foreign exchange and interest risks, said Grauer. 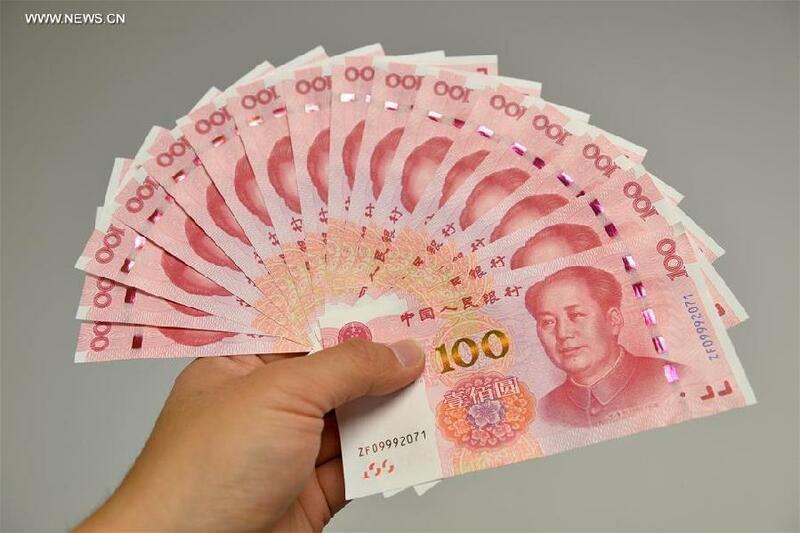 After a 20-month process, the renminbi-denominated government and policy bank bonds will represent about 6 to 7 percent of the index's components, he said. According to the central bank, China's onshore bond market worth was 88 trillion yuan ($13.12 trillion) by the end of February. "International investors want to participate in the growth of the Chinese economy. One way they can do that is by investing in fixed-income instruments," he said. Besides, the index will allow global investors to compare performance with the overall situation, a key global benchmark. Currently, China's 10-year treasury yields are higher than that in the United States, Germany and Japan, and their returns are higher than other economies with similar credit ratings. That could drive investor demand and provide diversification opportunities to global investors, according to Grauer. Investors in the United States have confidence in the Chinese financial market, he said. "If you want to play on the global stage, you should have a stake on the ground in China and be a good corporate citizen with along-term view about Sino-US relations. "I believe the opening of China's financial market may be one of the biggest changes in the history of global capital markets, and one of the most exciting." The inclusion of Chinese domestic debt in the index could potentially lead to about $2 trillion of fund inflows into the Chinese onshore bond market, according to Ivan Chung, associate managing director of Moody's Investors Service, a global ratings company. By the end of January, foreign holdings of Chinese domestic bonds totaled 1.75 trillion yuan, which was equivalent to 2 percent of total outstanding onshore bonds, according to Moody's data. "As investors participate increasingly in and understand better the Chinese onshore bond market, they will feel more comfortable increasing their renminbi-denominated asset allocations, and expanding their investments to other credit bonds like municipal bonds, corporate bonds and asset-backed securities," said Chung. The amount of government and policy bank bonds in custody accounts totaled 47.86 trillion yuan by the end of February, according to data from the State-owned clearing house China Central Depository and Clearing. Compared with treasuries and policy bank bonds, Chinese corporate bonds are not so attractive so far for the foreign investor, given the current level of corporate disclosure and governance quality. Concerns on potential default risks might have discouraged them to increase holdings in asset allocations. Zhou Xiaochuan, former central bank governor, said at the Boao Forum for Asia that as China is further opening the $13 trillion onshore bond market, foreign institutions will participate more in the Chinese bond market, and they will increase interest in underwriting corporate bonds. The foreign exchange regulator showed that in 2018, the net inflows of foreign capital into the onshore bond market stood at $63.7 billion, up by 1.4 times from the level seen in 2017. "It (the inclusion) indicates the orderly opening-up of the Chinese capital market, and the improvement of financial market infrastructure," said the SAFE 2018 annual international balance report released on Friday.